CHALK4PEACE saw generosity in a big way during our fundraising push around the #GivingTuesday Network For Good Facebook platform. We received enough $$$ to provide a stick of sidewalk chalk to more than 20,000 students! This is fantastic! 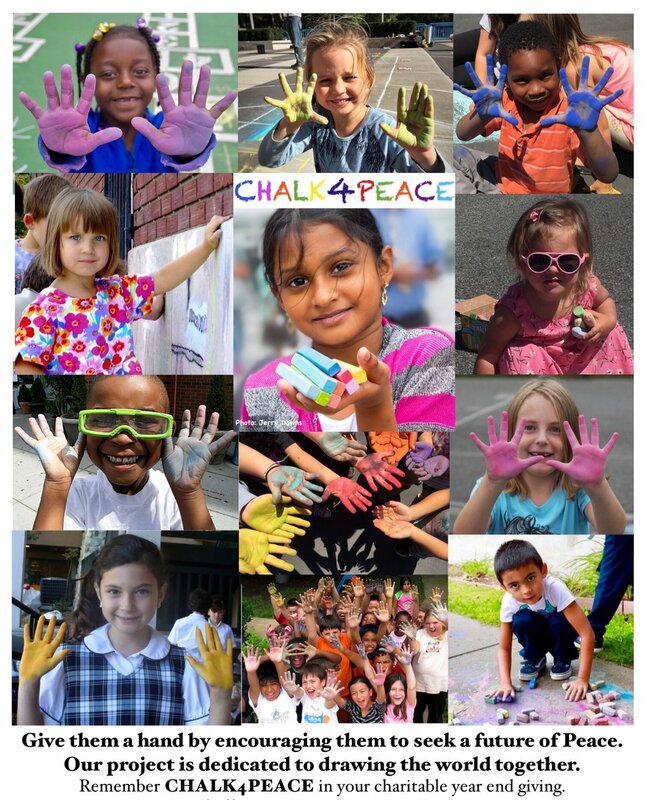 Thank you friends of CHALK4PEACE for helping us draw the world together. We so appreciate the efforts made by so many wonderful folks. Whether it was $5 or a thousand, it all matters so much. Your support is helping us encourage peace on the planet. We will keep you posted... you've brightened our Holidays with your generosity! Blessings to you and yours! May you find love, peace, joy, and comfort in the Holiday Season and New Year.